Shioitor certainly looks the part. D16 has taken the wraps off Shioitor, a new synth that the company claims will cause a "revolution in sound within the plug-in market". 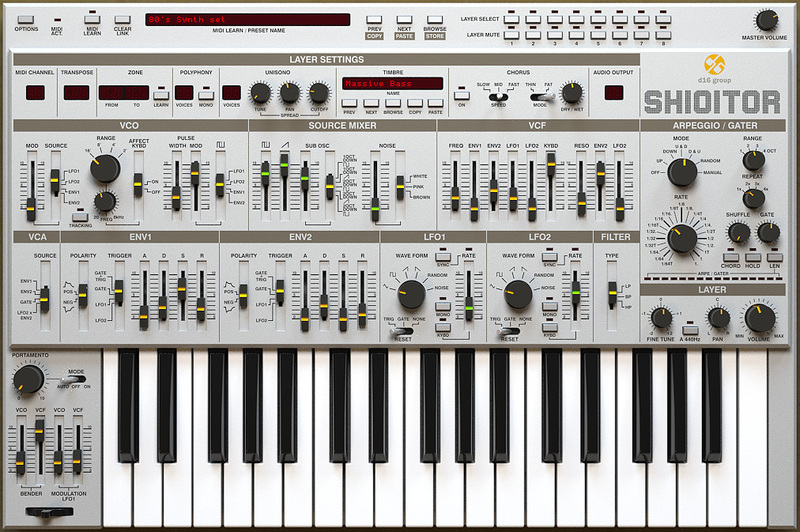 The synth's impressive-looking GUI (check out the reflections on those keys) appears to be loosely styled on Roland's SH-101, and Shioitor's sound promises to be authentically analogue. However, this seems like far more than a straight emulation. You can utilise up to eight independent sound layers - each of these can be assigned to its own key zone and MIDI channel and have its own settings. So, you can create either a big single sound or have lots of different ones playing simultaneously. 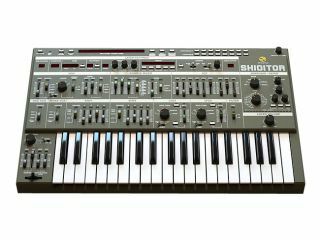 Shioitor can run in polyphonic and monophonic modes - each layer has 16 notes of polyphony and comes with its own arpeggiator. Other features include a Unison mode and a built-in chorus effect. Pricing and a release date will be announced later, but you can already find detailed specs on the D16 website.